Masters of Scale - Hosted by Reid Hoffman, interviews with business leaders diving into how they scaled their business. From the founders of charities to leading tech businesses. One of my favourites is this interview with Aneel Bhusri, CEO of Workday, who explains the importance of creating a formula for great hiring. "In 5-10 years, your first employees will continue to uphold your company's culture and value system." Fintech and Insurtech Insider - Hosted by 11FS and a team of co-hosts. The company does a fantastic job of using the podcast to showcase their team of experts and build trust with key influencers through inviting them to be part of the podcast. Their 2019 fintech prediction podcast is a great starting point if you are interested! Hurry Slowly - looking for a better lifestyle? The podcast is about pacing yourself and Jocelyn interviews business leaders who have done enabled this in their lives and business. It specifically focuses on how you balance your work and life. This podcast with Alex Pang explains the importance of rest and how it can lead to more creativity. It is worth a listen and sets the tone for the series. I need to thank my mum for finding this one! Bowery Capital - brilliant, punchy interviews with leaders from across different departments of technology companies. So many to choose from however if you are in sales then this podcast with Dave Govan of Hitachi Vantara is useful as it explains the value of team selling and how it demonstrate to your client that you care and have the experts in your firm to deliver. Dr Chatterjee - This was introduced to me by my sister who has been providing insight around nutrition and how it effects the brain. If you need motivation to get your diet in order then this episode is excellent. It explains how the brain is linked to the gut and by not looking after your gut leads to poor mental performance. 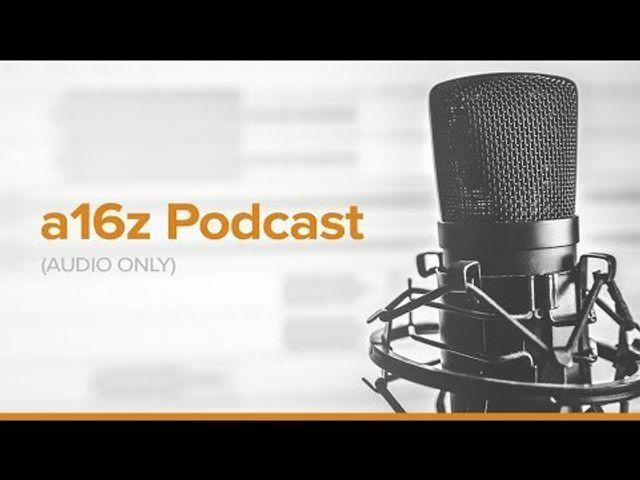 a16z - A podcast by Andreessen Horowitz covering various areas of their investments. This podcast was of particular interest that covers talent, industries being affected by tech and whether technology is eating culture. Hopefully these are of interest and demonstrate the value of podcast to scaling your business! I am hoping to be involved in a few myself this year. I feel Marc Andreessen is right about audio becoming much bigger over time. Humans have communicated through voice for a very long time so our ability to convey information, emotion and humour through speech is much more finely tuned than through the written word. As a result, developing a connection with an individual through audio is far easier than through other media, which is probably why we make so many sales calls. This week's Insights Show will take you over our favourite #fintech moments from 2018!